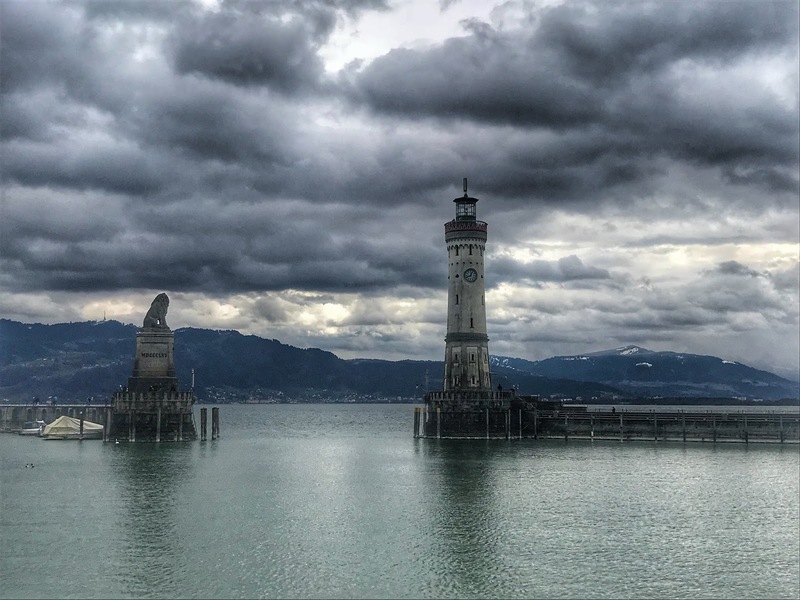 The harbor entrance on Lindau island in Germany, the unofficial finish line of my adventure run. This run was entirely unplanned...until it wasn't. 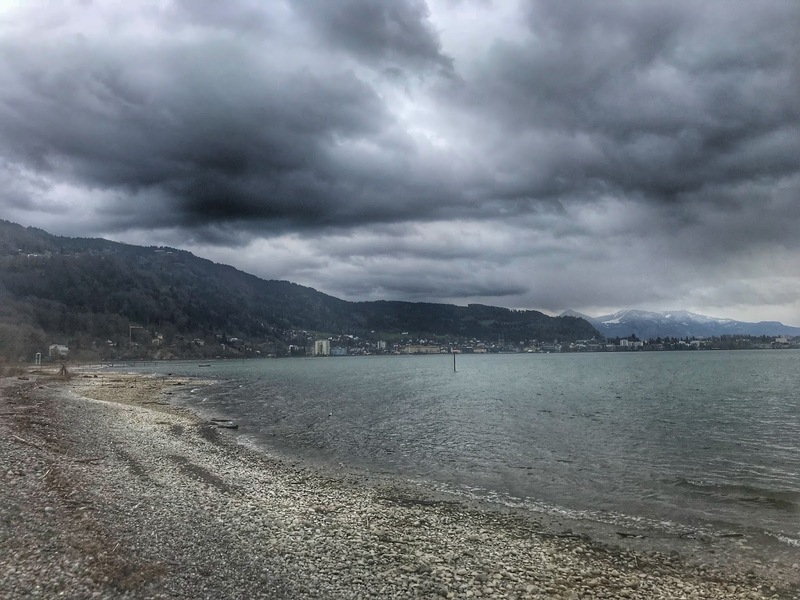 A short notice work trip to Switzerland had me struggling to figure out a way to get another 100 mile training week in prep for Hellbender 100 in April while basically sitting in a plane for two of those days and suffering through jet lag, which seems to get worse with every Euro trip I take these days. One of the earlier trail sections, wide flat gravel trail. Even if I was going to be extremely disciplined, it would be nearly impossible to find the time to get in 100 miles. Instead, I rearranged my training plan, but I still had to rack up 80 miles for the week. When Friday rolled around, I was at 40 miles, still needing another 40 over the next two days. To make matters worse, the weather had been pretty miserable all week and Saturday looked to be the worst, yet. Small boat pier on the Strandweg along the Alter Rhein river. I needed to do something pretty long on Saturday or Sunday. Since there was still a lot of snow at the higher elevations and more snow in the forecast, I had to stay at the lower elevations. 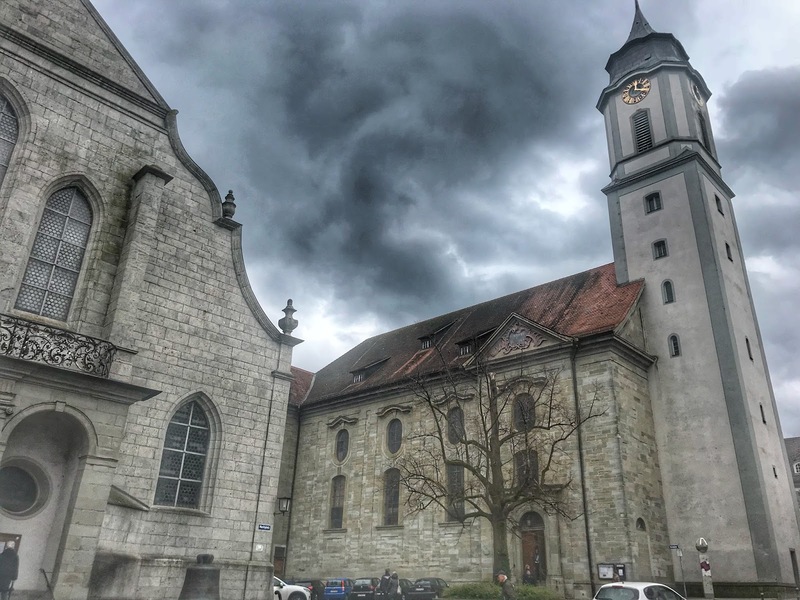 St. Gallen is just 6 miles from Lake Constance and I figured there must be lots of hiking trails and bike paths around. A bit of online research revealed just that. In fact, there were two major trails or paths in my immediate vicinity. 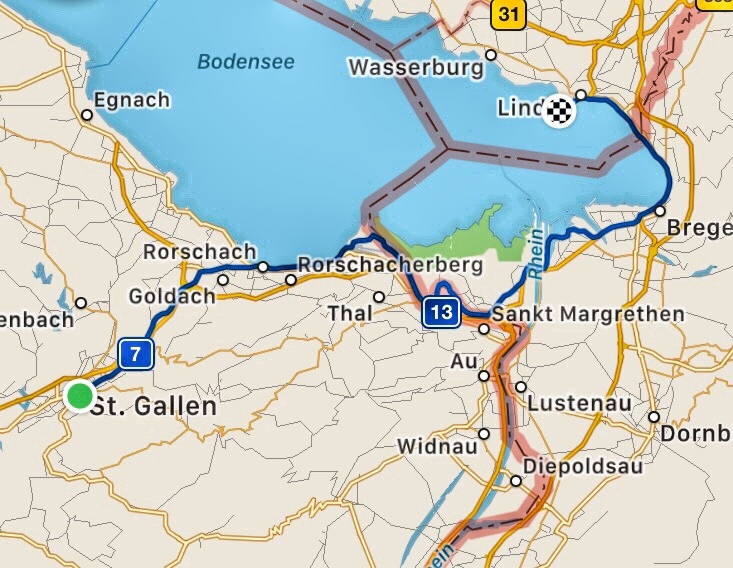 One 170 bike path looping entire Lake Constance and passing through 3 countries and the Camino de Santiago or Jakobsweg. 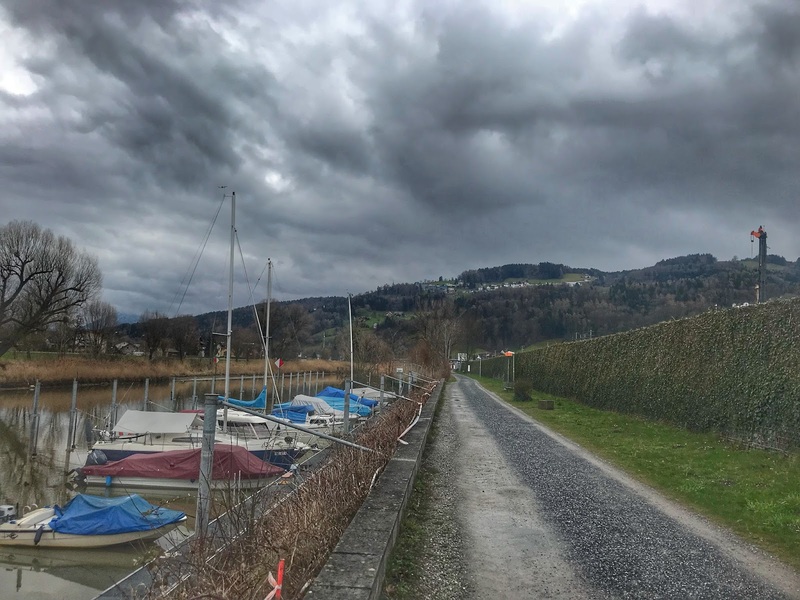 It took just a few minutes to map out a nice point to point 50K route utilizing these trails along Lake Constance while passing through 3 countries in the process. Strandweg along the Alter Rhein river. The route would start at the front door of my hotel in St. Gallen Switzerland across St. Gallen cathedral and take me 10 kilometers downhill towards Rohrschach, a small town at the edge of Lake Constance before continuing on more or less along the lake towards the town of Bregenz in Austria for about 30 kilometers and finally on to Lindau island in Germany, my final destination for this point to point self-supported solo adventure run. After following the weather reports, I decided late Friday evening to do a shorter run on Saturday in case the weather got as bad as predicted and try for the solo 50K on Sunday in hopes of slightly better conditions. That would mean, however, that I would be running on Easter Sunday, so I had no idea if any gas stations or shops would be open, when I was in need for food and water during my run. Oh well, that's all part of the adventure. 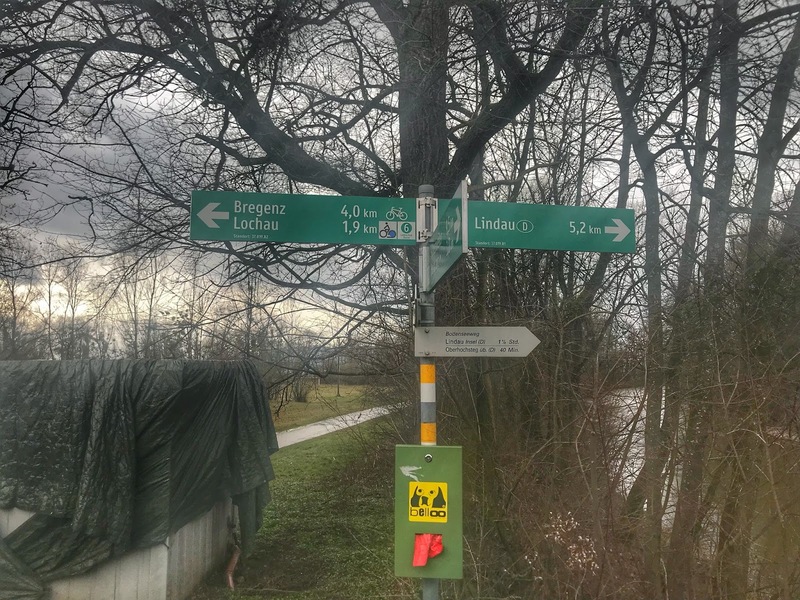 The only visible sign that you've entered another country (Austria), the small road sign on the right. I left my hotel at 7:05AM on East Sunday morning. It was raining and a chilly 42 degrees. My level of motivation was pretty low, to be honest as the day looked dreary. 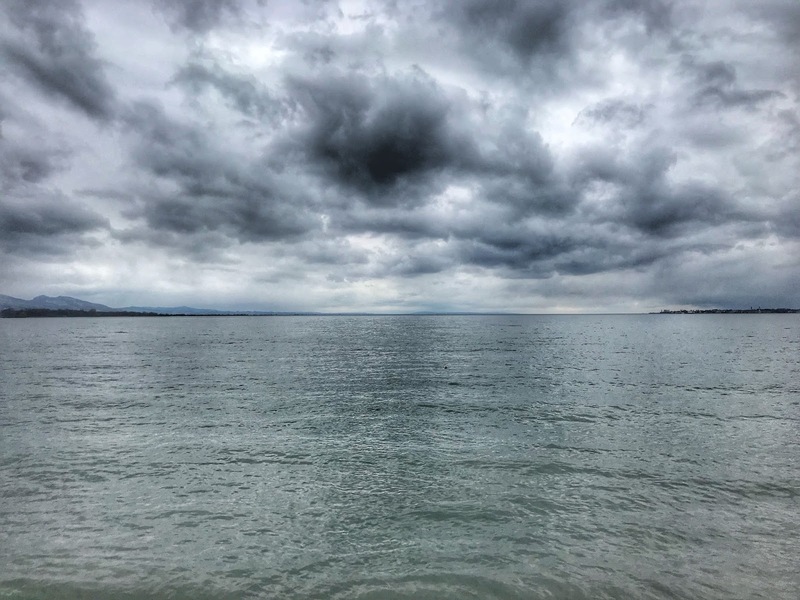 The weather would not change for quite a while, but I decided to just take it mile by mile, breaking down my run into little manageable chunks. Thankfully, the first 6 miles were all downhill, so all I had to do is fall forward. 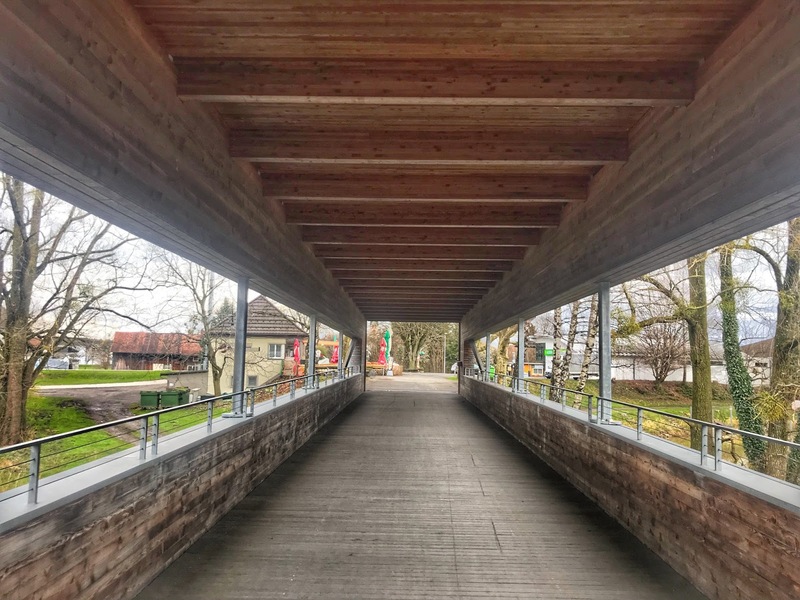 Wooden covered bridge across the Alter Rhein river separating Switzerland and Austria along a green (blue) border. I kept a relaxed pace. I was wearing my UD running vest with only a single bottle filled with Nuun. My other bottle had sprung a leak just before I took off on my run. I also carried my phone, a GoPro, passport, cash, credit card and two CLIF bars. I hoped that I'd be able to get water and food at gas stations as needed. 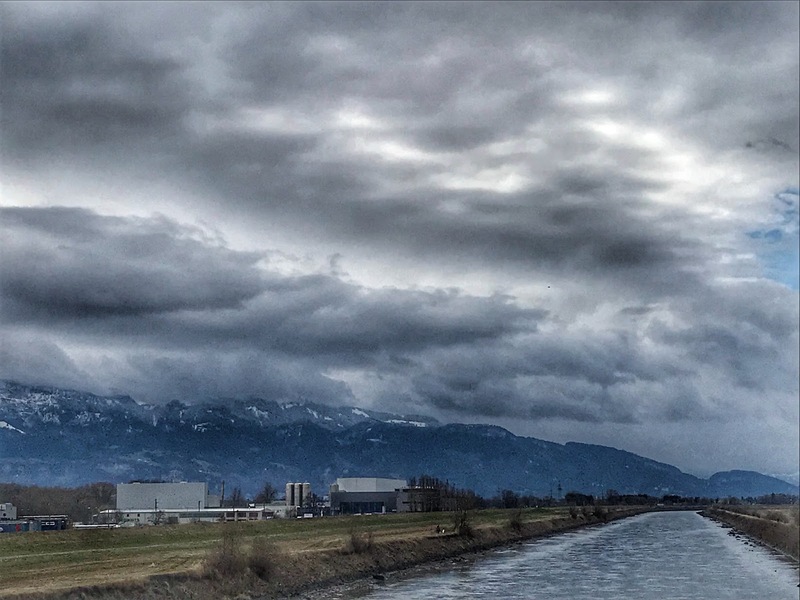 Rhine river with alps in the background. I didn't realize that I would barely eat or drink anything during my run. Temperatures were so cold and wet and I was moving conservatively enough that I didn't really feel hungry or thirsty. 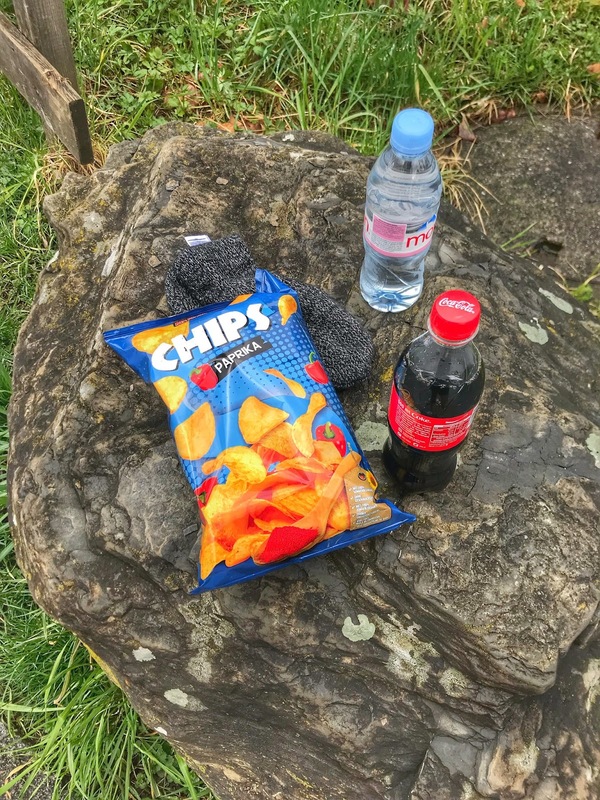 As a result, I did not drink my bottle of Nuun until mile 20, when I stopped at a gas station, where i picked up a bottle of water, a 16oz bottle of Coke and a bag of potato chips. I figured I could use a salty snack, even if I wasn't really hungry. 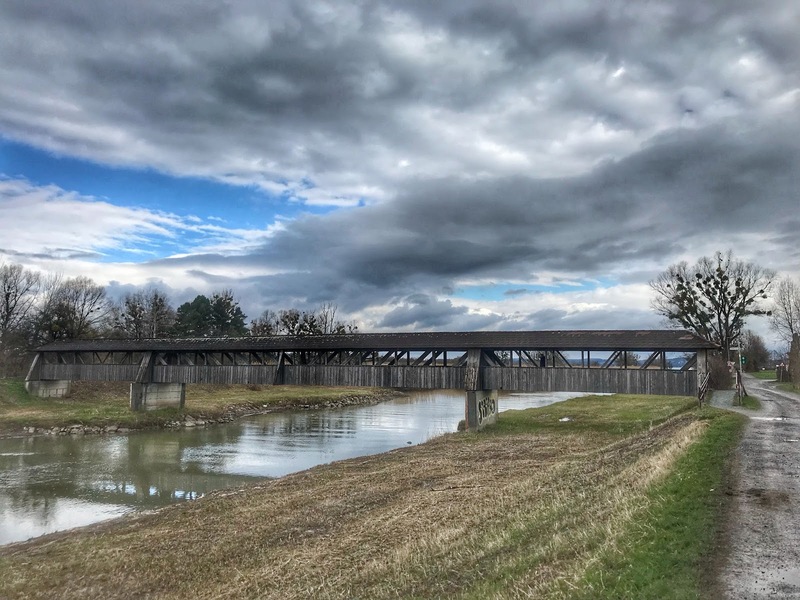 Wooden pedestrian bridge crossing the Dornbirner Ache creek. I ended up chugging my bottle of Nuun, refilling my soft bottle and dropping another Nuun electrolyte tab into the water. I also drank half a bottle of Coke and ate half the bag of chips. I almost had to force myself to do so as I was neither particularly hungry nor thirsty. After a8-10 minute stop, I shoved the left over chips in my pack and continued on. Boat harbor inside a small Lake Constance bay. The weather would continue to change throughout the morning. While it stayed mostly overcast, the rain would stop occasionally, allowing me to still get some decent pictures of my surroundings. It took 15 miles for me to finally start to really enjoy the run. I had settled into a nice pace and I was stopping whenever something caught my eye. A beautiful rocky beach, the Alps, interesting architectural structures, lots of things worth a second glance and a picture. Stony beach inside a small Lake Constance bay. As the hours went by, the paths and trails got busier and busier, both with locals out for a Sunday walk and with tourists visiting the area over the 4 day Easter holiday weekend. While I am not particularly religious, it was kind of interesting to be running on the Camino de Santiago on Easter Sunday. 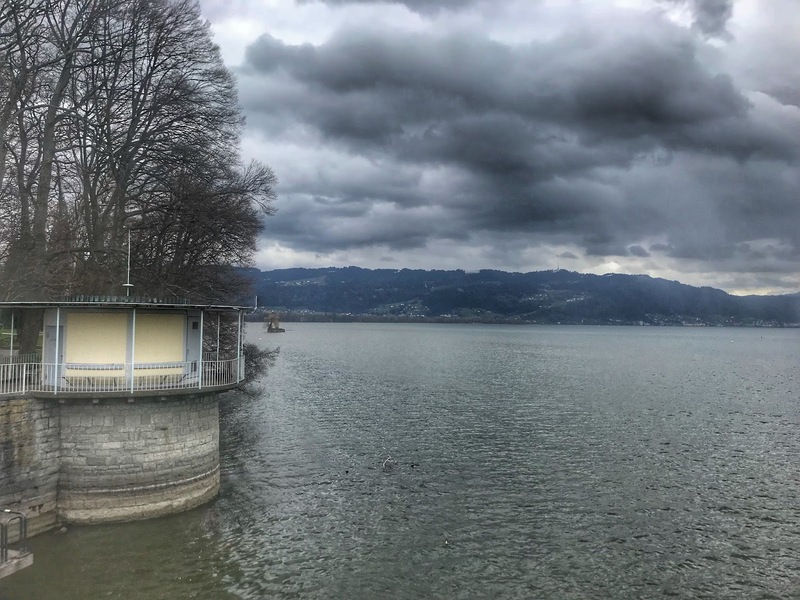 I slowly made my way along the lake and through 3 countries. 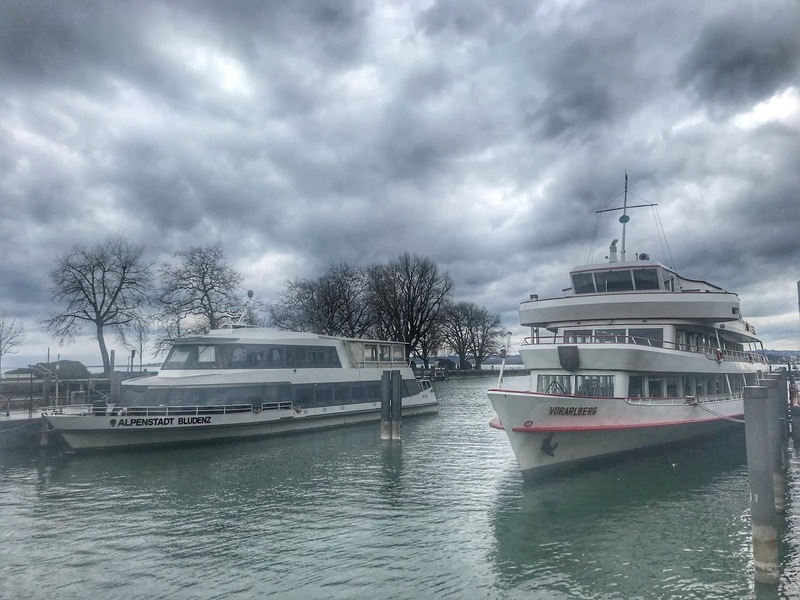 After just under 5 hours, I finally arrived at my final destination on Lindau island, a small island in Lake Constance connected to mainland Germany via a short bridge. 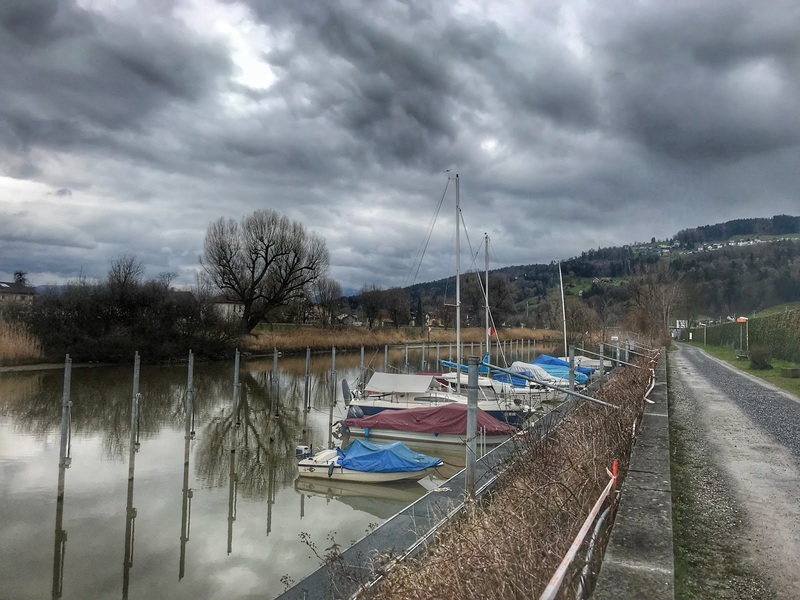 Boat harbor at Lake Constance in Bregenz, Austria. 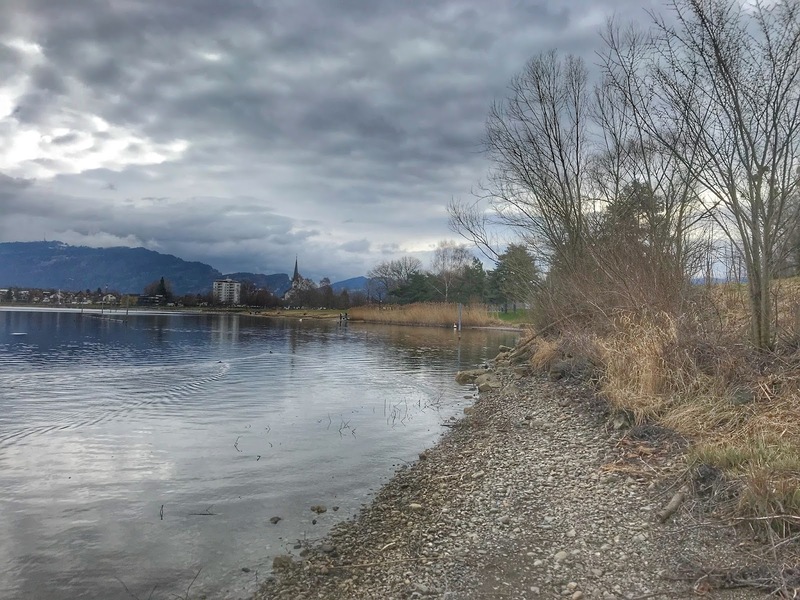 Lindau island consists of the Altstadt of Lindau along with a train station, which made it the perfect finish line for my adventure run as I could hop on a train back to St. Gallen once I was done. 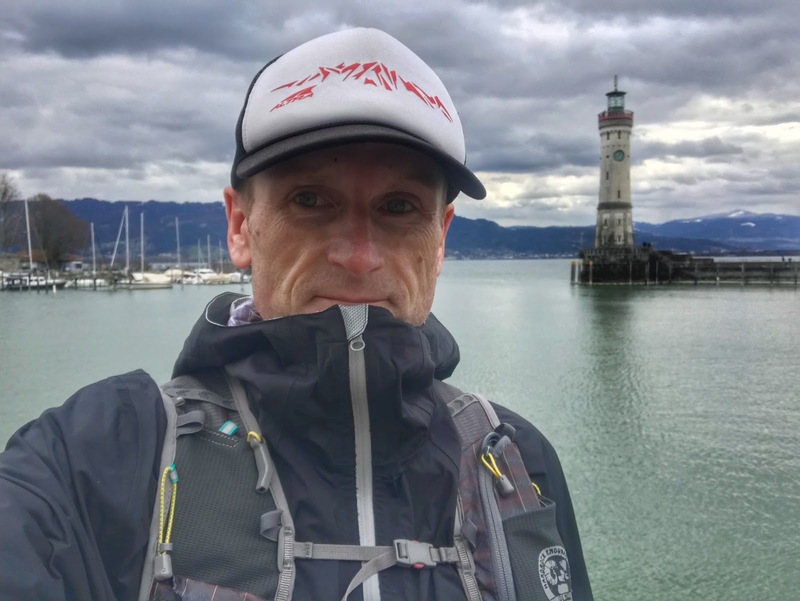 While my running gear worked perfectly all day, now that I was done running, I was struggling to stay warm while trying to do some sightseeing in town before taking the train back to my hotel. I pulled my waterproof jacket out of my pack and put it on, but I was still walking around in my shorts, earning me lots and lots of surprise looks from pedestrians who were wondering why anyone would wear shorts with temps in the low 40s. After a few more photos, I went inside the heated train station to pick up a ticket and devour a large order of fries with ketchup and a half liter of German beer (my victory beer) from a small Kebab shop inside the train station before making my way to the appropriate track for my departure. 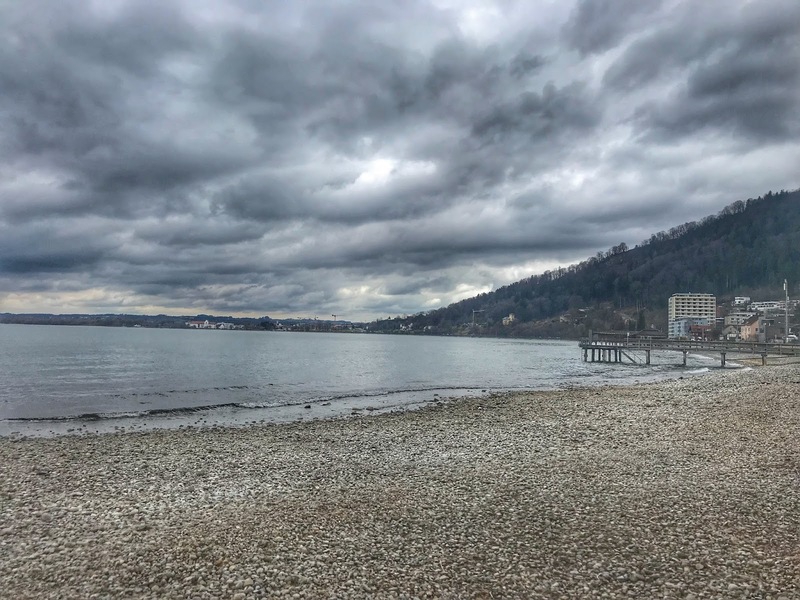 Small beach inside small bay outside Bregenz, Austria. Thankfully, my run was mostly uneventful in terms of any issues. I bought the wrong train ticket initially, which is a bit embarrassing considering I am German and this was a German train station. I didn't take any wrong turns, during my run, I was able to get some food and water at a gas station when I thought I needed it and my GPS watch battery didn't die until after my run, even though I forgot to charge it all week. 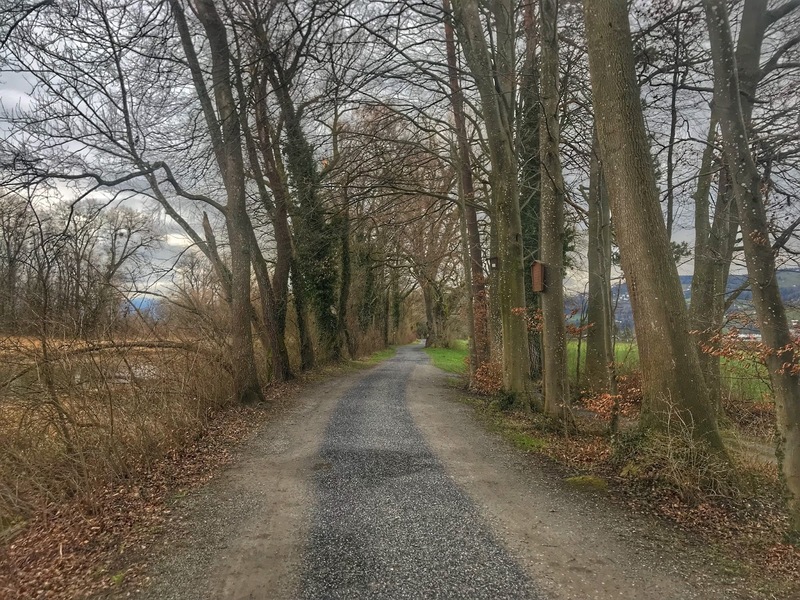 Paved trail between Bregenz, Austria and Lindau, Germany. 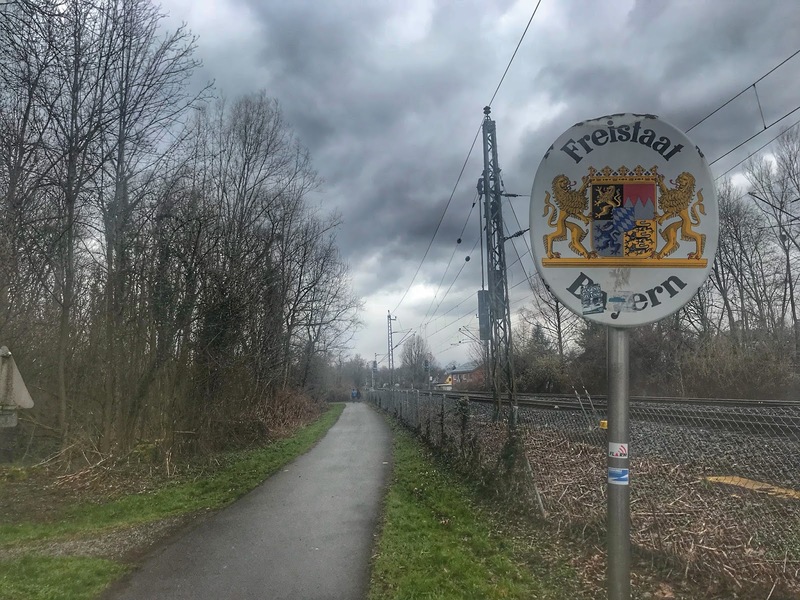 Once Iwas sitting on the train, I immediately started to look through all of the photos I'd taken, selecting the best ones for my running blog. I looked at the map of my run as well as my running data, always fun to check out after a run. Before I knew it, I was back at my hotel, taking a hot shower and looking forward to another amazing dinner at my favorite local Vegan buffet style restaurant. 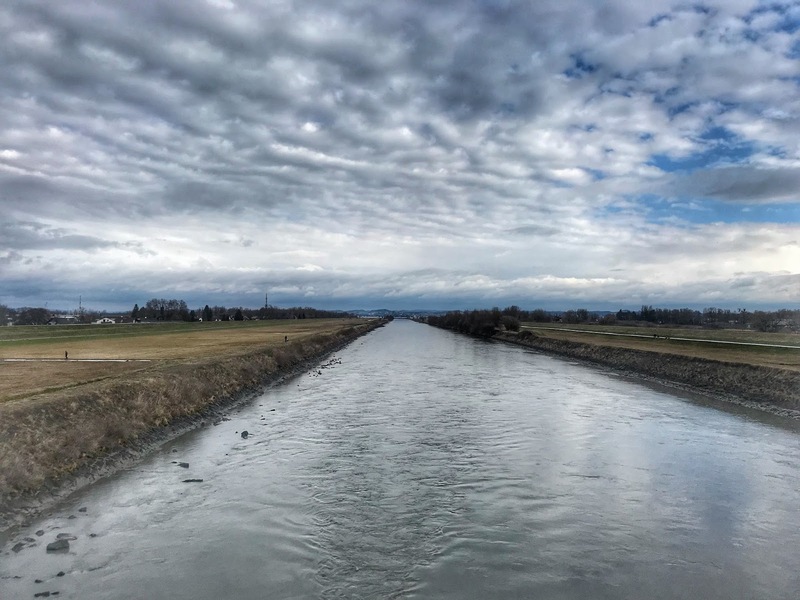 View of Lake Constance from Austria with Switzerland on the left and Germany on the right. One final suggestion to anyone that has read this far. If you have never done a solo run, do it. Map out a course of any length, anywhere, for any reason or no reason at all. 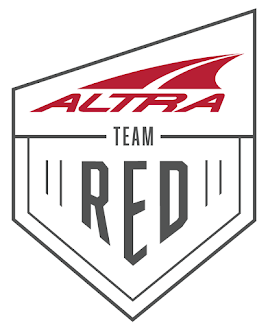 You'd be surprised how much fun it can be, especially without the pressure that can come with the participation in an official race event. Go out there and create our own adventure. I promise, you won't regret it. In fact, you will look at your surroundings differently, always wondering how you could turn this or that into your next adventure run. 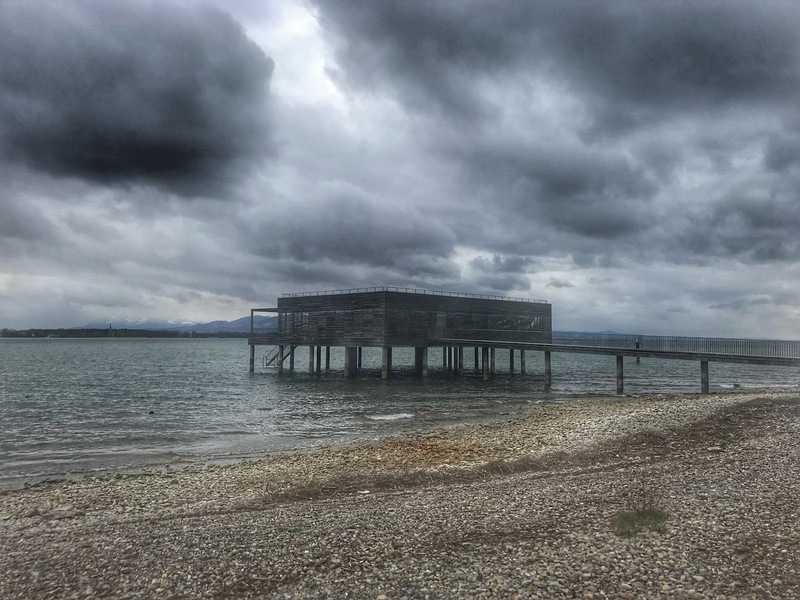 Boathouse structure inside Lake Constance. 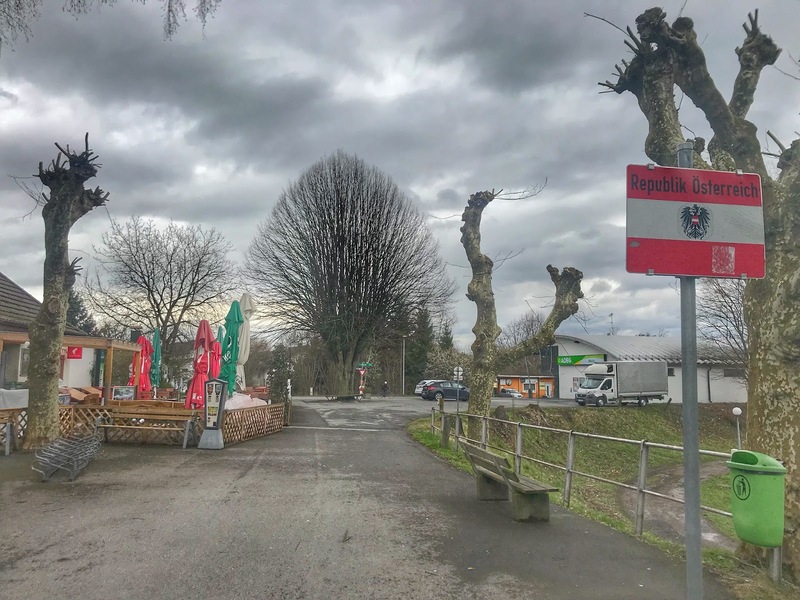 Austria-Germany border, interestingly marked only by the Free State of Bavaria sign post. 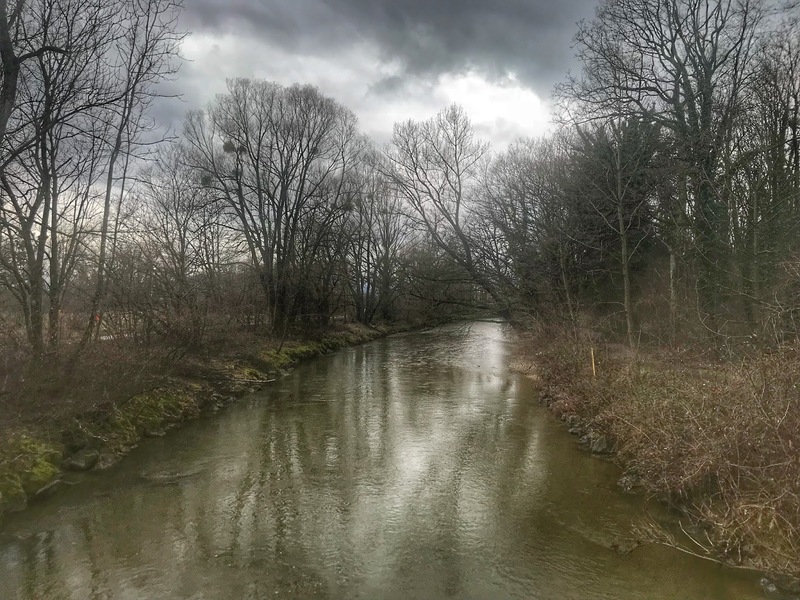 Small creek separating Austria and Germany. 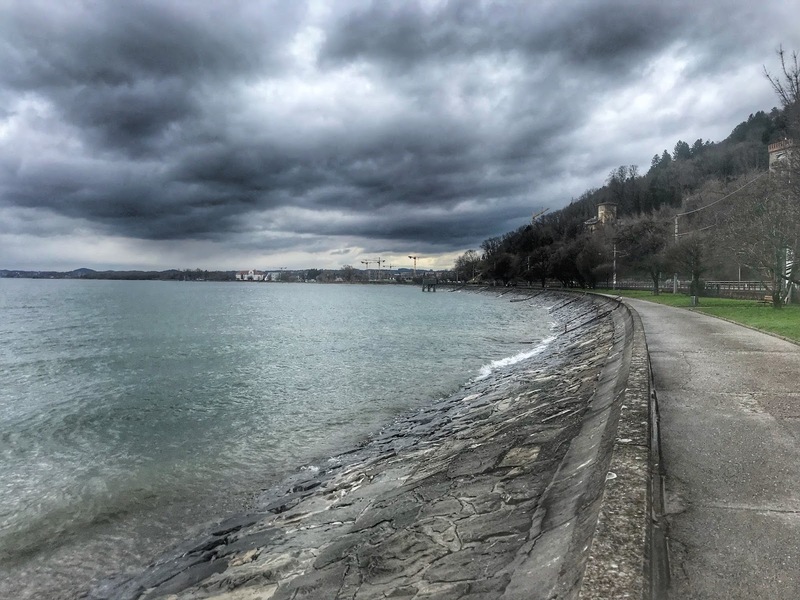 Another stony beach on Lake Constance. Sign post identifying the final 5k of my adventure run. 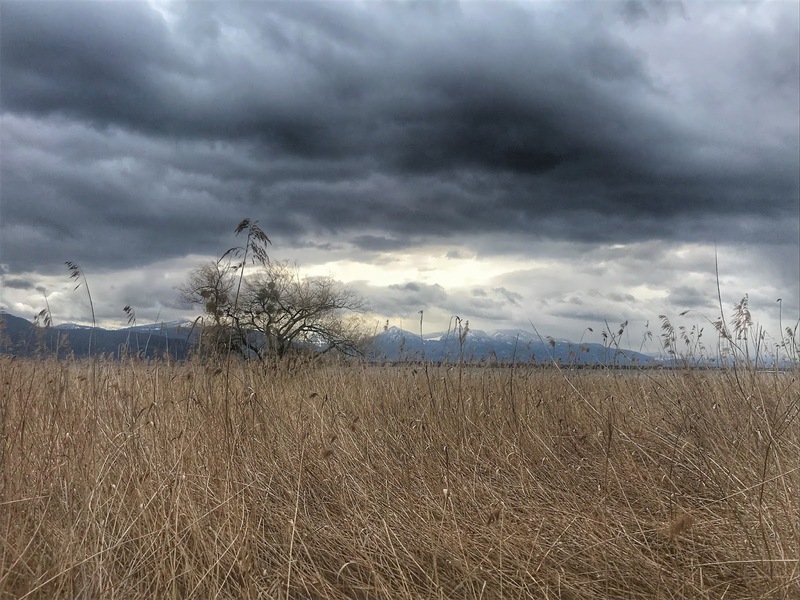 Reed along Lake Constance with the Alps in the background. 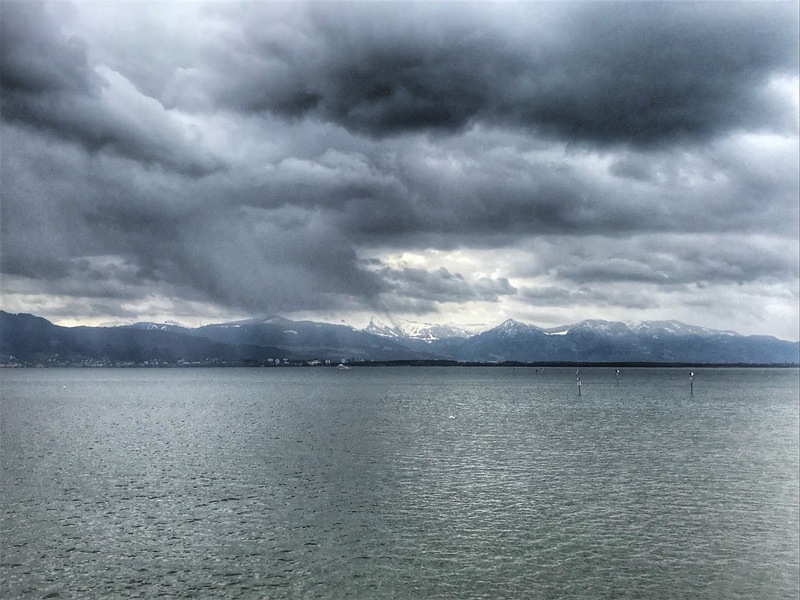 Lake Constance with the Alps in the backdrop. 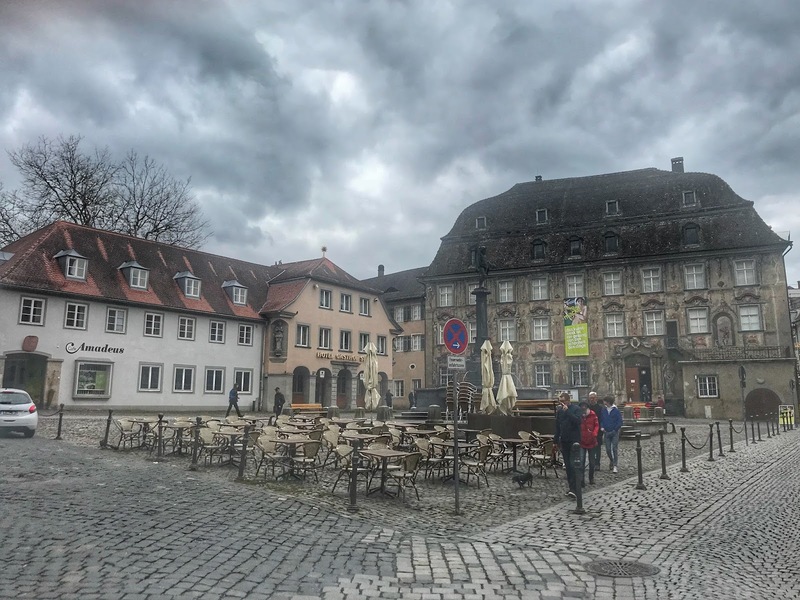 Market place on Lindau island. View from Bridge providing access to Lindau island. 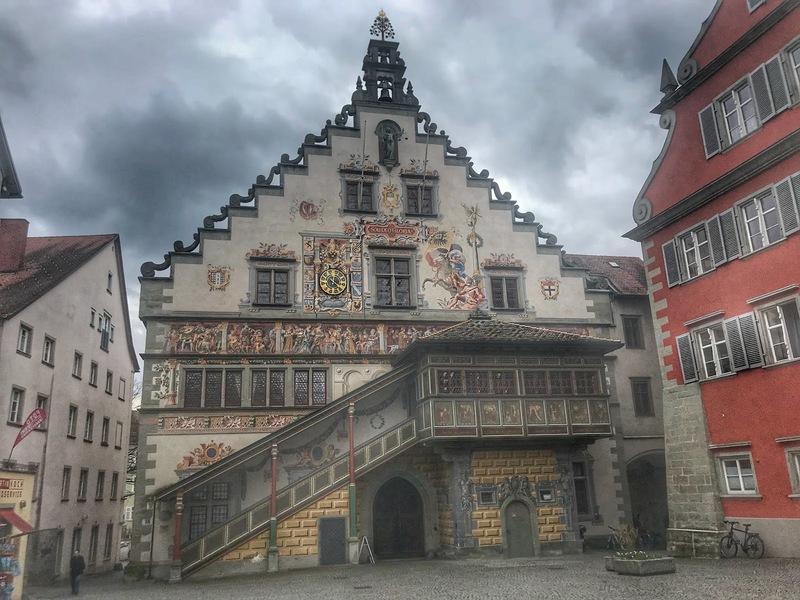 Beautifully decorated building in the center of Lindau island. 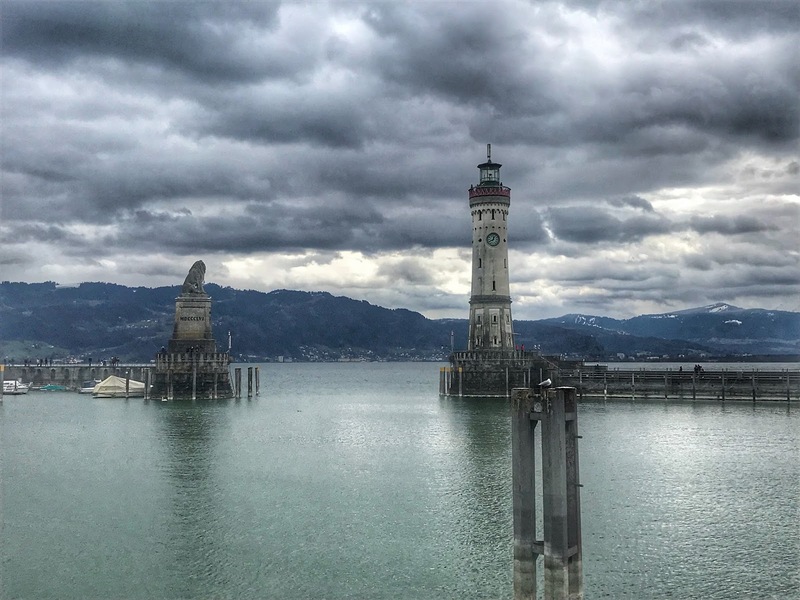 The harbor entrace on Lindau island. Unofficial finisher selfie at harbor entrance of Lindau island. 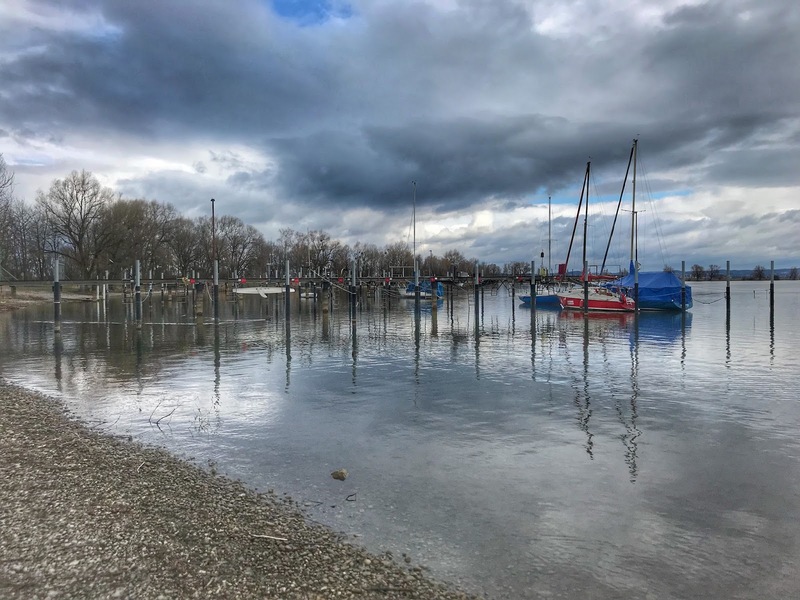 Boat harbor on Lindau island. 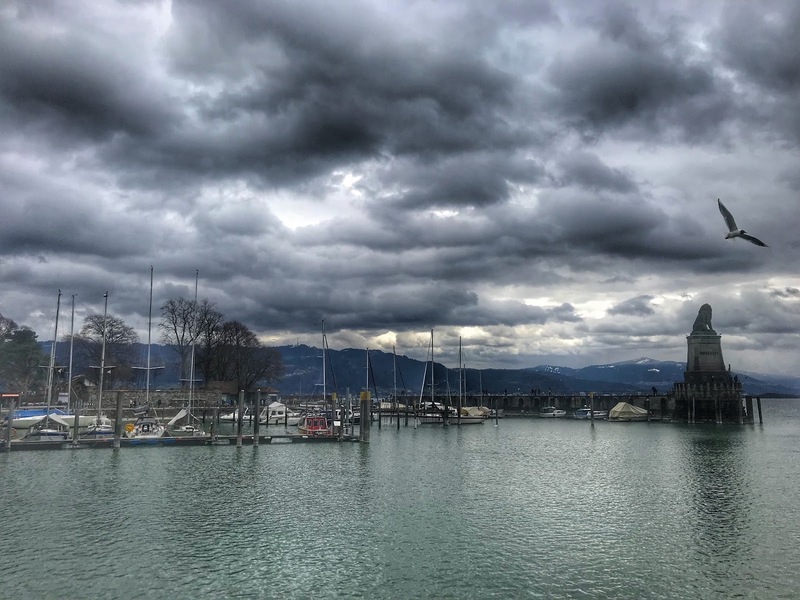 Another view of the harbor on Lindau island.